Blue Monkeys Production Studio - "Happy Bulls#!t"
The young collective of creatives at Blue Monkeys Production Studio create and produced films for the cinema TV, and film festivals as well as commercials and promotional videos. 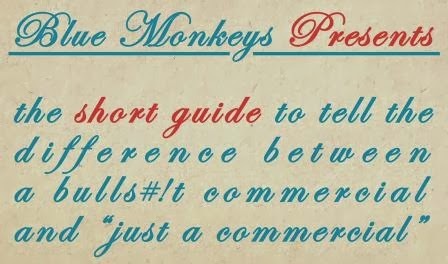 It is in the Blue Monkeys tradition to make a greeting movie every new year, usually they come out soft and positive, this year, it came out kicking and positive :) it talks about the difference between a "bullsh#!t commercial" and "just a commercial." 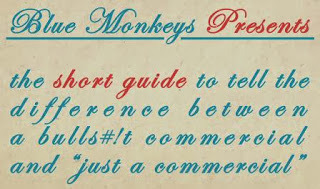 This years contribution is entitled "Happy Bulls#!t - free 2014"
AdStasher: Blue Monkeys Production Studio - "Happy Bulls#!t"